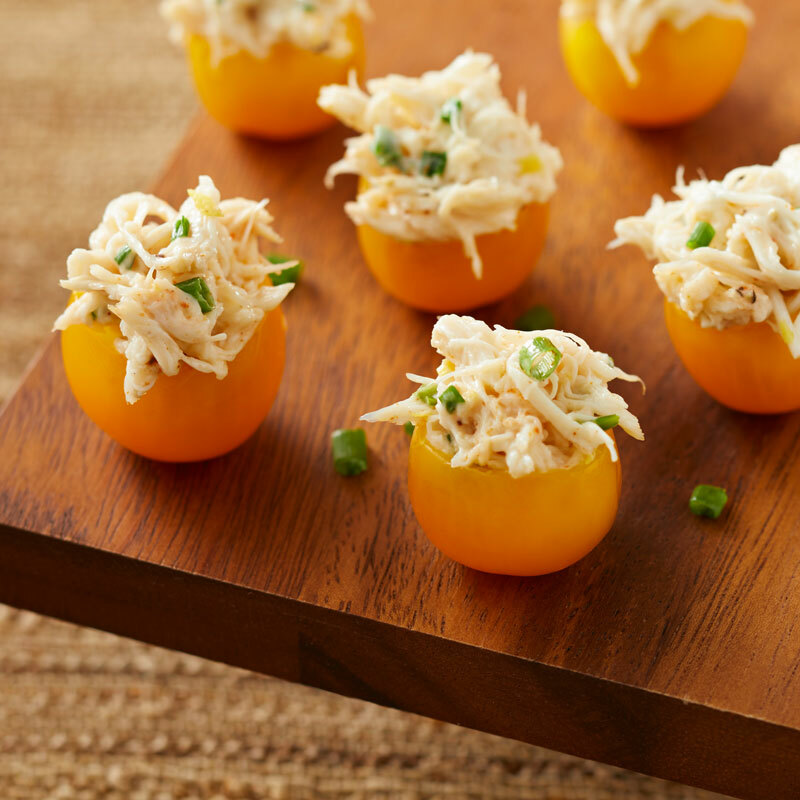 Cut the tops off the Sunbursts® tomatoes, and carefully scoop out a portion of the pulp to accommodate the crab filling. Sprinkle the insides of the tomatoes with salt, and then place upside down on a paper towel to allow the excess juices to drain. In a small bowl, add crab meat, mayonnaise, Old Bay Seasoning, Worcestershire sauce, minced chives, and lemon zest. Season to taste with lemon juice, cayenne, salt, and pepper. Mix to combine. Using a small spoon, equally divide the crab mixture between tomatoes.